I’m going to be completely honest here, every time I have to entertain I’m a complete mess. I often forget to buy things at the store and it feels like I’m running around till the very last minute to finish everything. While I love the moment once my guests arrive, the hours before is daunting to me as I’m completely stressed out and stressing Fabian in the process as well. 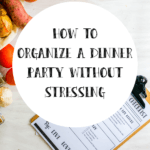 So, I decided to create my own guide for how to organize a dinner party without stressing to help myself but also others who are in the same stress boat as I am. 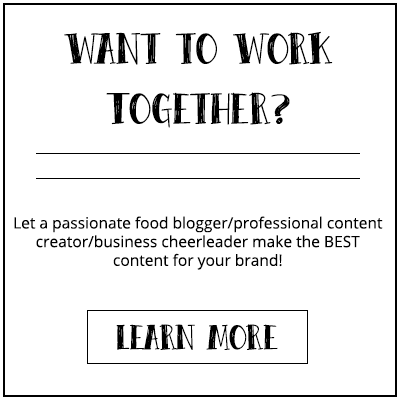 The key is having a well-structured party planning and I even threw-in my free dinner party checklist for you to download. Having a structure in your party planning is super important if you want everything to go as smooth as possible. I can’t tell you how many times Fabian had to run to the store to buy something I forgot. More often than not it was 5 minutes before our guests arrive. This could have all been prevented if I’ve just started prepping beforehand, double checked, and if I had a goddamn list to see what I have to do in the first place. 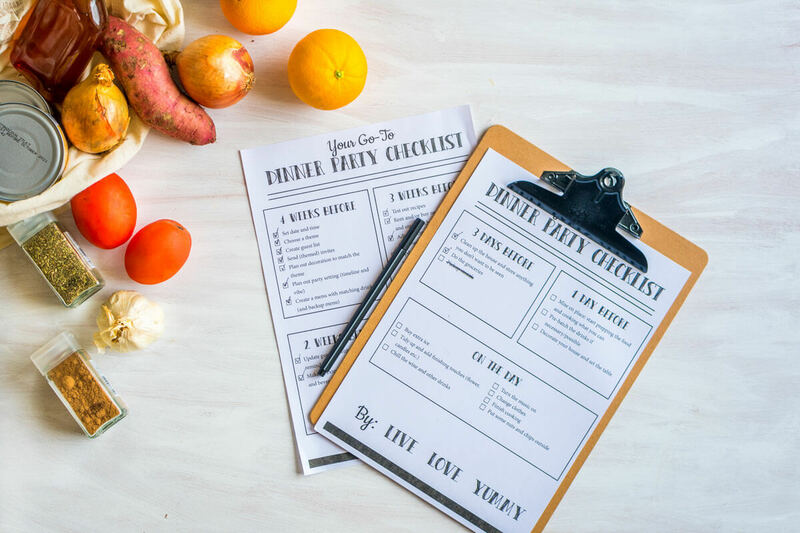 My dinner party checklist is a party planning slash to-do list that you can always turn to and check if you’re still on track. It’s broken down in weeks and every week has several tasks you need to complete. It starts 4 weeks before your dinner party and while you may think that 4 weeks is too early for your small dinner party of 6, trust me…it’s not. If you have a big dinner party then I recommend you to start 6 weeks in advance. After you complete a task just check it off from the dinner party checklist. That way you keep a good overview of what needs to be done, what has been done, and check thing off is very therapeutic. Start by setting your date and time, choosing a theme, and create a guest list. Once that is decided it’s time to start sending all the (themed) invites. Start browsing through Pinterest or blogs to plan out the complete decoration and menu. Write down everything and be as detailed as possible. Determine also the type of vibe you want to create and timeline. At what that time will people sit for dinner? Where do you want people to hang out? These are all important details and you need to write them down. Use a tool like Evernote to add all your ideas, categorize them, and add visuals as a guide. I make 1 note for the tablescape with a shopping list and images, 1 with the menu and shopping list (including a backup menu), and so on. 3 weeks before the event I do a test run with the recipe. I can’t stress enough how important this is. I’ve had many last minutes fail simply because I didn’t do a trial run. Update your menu and backup menu if needed. Next, see if you need to rent or buy any decoration. 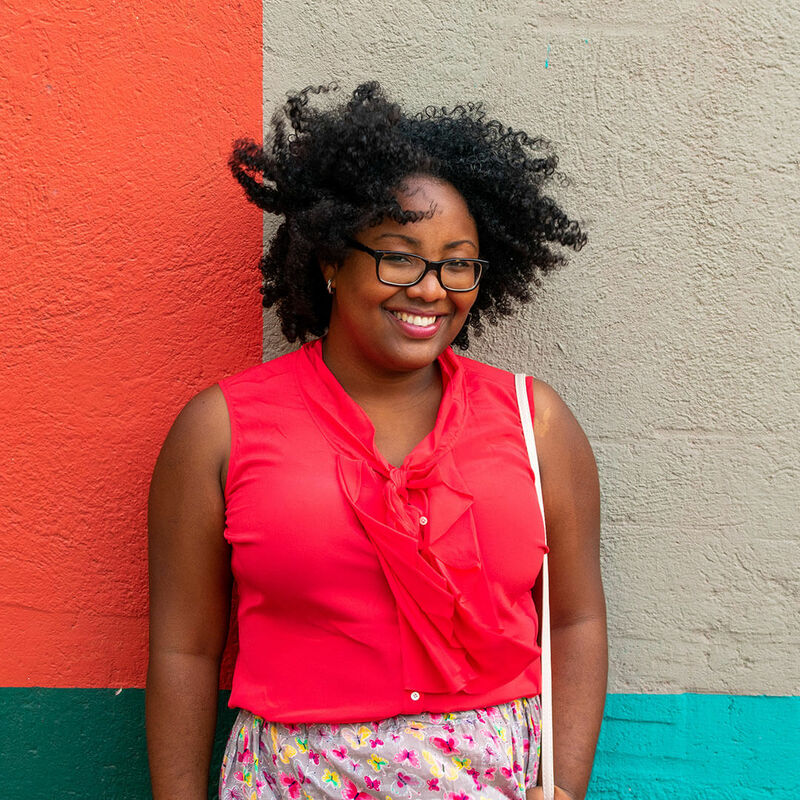 Do this far in advance so you secure your rent and to give you time for a plan B if you don’t find what you want. You might have to order something online, for example. See who RSVP’d already and update your guest list. Send reminders to the ones who didn’t. Around this time you should start cleaning up your refrigerator and freezer. It’s something you would never think off, but we often run into this problem when prepping for a dinner party. Since we always had a small apartment and refrigerator we never had enough space to store the groceries and all the prepped food. Then, create a seating plan if necessary and a playlist. Depending on the moment I create my own playlist or take one from Spotify. Now the real work starts! Start cleaning the house and storing everything that you don’t want to be out in the open. Cleaning the house means also cleaning all areas of your house. Don’t be like me that only cleans the bathroom, kitchen, living room, and then shits her pants when someone asks to see our bedroom or put their things in our bedroom. Store your coats as well to make room on the coat hanger. Go and do the groceries and pick up your rentals. Start prepping your food and cook as much as you can. On the day itself, you’ll want to just finish off the dishes or assemble. You can also start making the drinks and refrigerate so they are nice and cold doe the dinner party. Start decorating the house and setting the table. For that night you’ll probably want to dine out and leave as little footprints as possible after you set everything up. Buy some extra ice. If you have people that are more cocktail drinkers or likes having a mixed drink than you really need ice. You don’t want to store all your sodas in the refrigerator since it takes too much space. Chill the wine and all the other drinks in the morning if needed though. Tidy up your place especially the kitchen, and add the finishing touches. In the meantime finish your dishes. 2 hours before guests arrive go and dress up. Turn the music on afterward to get yourself in the mood and add the finishing touches like lighting the candles, putting some chips and nuts on the table, etc. Start warming up the food just before everyone arrives or depending on your dinner party’s timeline. After everything is done, remember to enjoy your dinner party. Grab that glass of wine, laugh your heart out, enjoy every bite of your food; after all the work you did, you deserve it! It’s the moment for you to enjoy the company of your guests which is the whole reason why I created this guide in the first place. 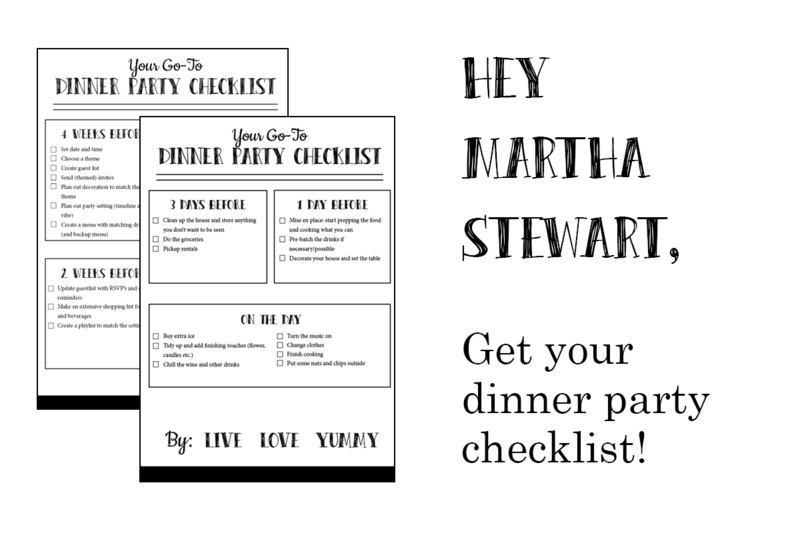 So, don’t forget to grab your dinner party checklist here below.